KAMPALA- Speaker Rebbeca Kadaga has on Tuesday agreed with the Leader of Opposition to extending the current leadership of the Parliamentary Committee on Commissions, Statutory Authorities and State Enterprises (COSASE) to February 15. The agreement was according to reliable sources reached after a meeting with the LoP Betty Ochan, the Deputy Opposition Chief Whip, Harold Muhindo and Wilfred Niwagaba, the opposition Attorney General. The committee led by Bugweri MP, Abdu Katuntu is currently conducting an inquiry into the irregular closure of seven defunct commercial banks by Bank of Uganda but run into trouble after the term of Mr. Katuntu and his deputy Bukedea MP Anita Among was cut short by the opposition leadership. 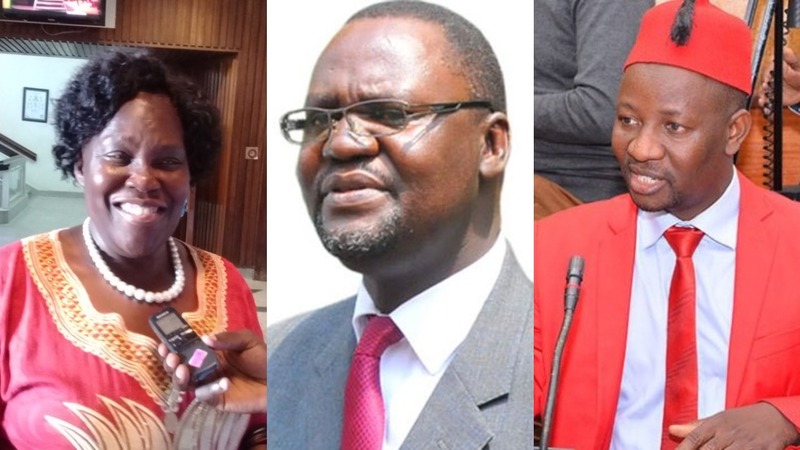 Mr Katuntu has been withdrawn by the Forum for Democratic Change and replaced with Kawempe South MP, MubarakaMunyagwa. The Vice Chairperson, Anita Among was also replaced with Moses Kasibante. The appointment by FDC had however not been approved by the Speaker, Rebecca Kadaga. Instead, Kadaga in December wrote to the Leader of Opposition, Betty Aol Ochan requesting that the current team be allowed more time to finish the current BOU probe, hand in a report before being reshuffled. But this position has since been rejected by FDC officials including Betty Aol Ochan and the opposition Chief Whip, Ibrahim Semujju Nganda who noted that the extension is an illegality which Parliament should never entertain. “We have finished our dialogue and the Speaker will make a pronouncement herself. We have explored a lot of options in dealing with the issue at stake and the best option shall be announced by the Speaker in plenary,” Ms. Ochan said. She said the decision will cater interests of the opposition and Parliament as an institution. The Committee will continue its business on Wednesday. After controversy surrounding the fate of the inquiry into Bank of Uganda affairs in view of the change of leadership of the Committee, Speaker Rebbeca Kadaga in the new year extended Mr Katuntu and his deputy Bukedea MP Anita Among’s term, to finish the report and lashed at the Leader of the Opposition for politicizing the matter. Ms. Kadaga said in reference to the opposition’s demand that Mr. Katuntu hands over the leadership of the Committee to Kawempe MP Mubarak Munyagwa even when he is yet to complete the investigation into the controversial sale of Crane Bank and six others. Mr. Katuntu’s tenure expired on January 13 but Ms Kadaga insisted that he will first complete the writing of the report on Bank of Uganda.